The Magnolia Garden Club of Beaumont along with the Beaumont Convention and Visitors Bureau are hosting a grand opening for the Wetlands Education Center at Cattail Marsh, inside Tyrrell Park on Tuesday, October 16 from 4 – 6 p.m.
“The Wetlands Education Center will enhance the birding and outdoor experience of those exploring Beaumont, Texas,” stated Dean Conwell, Executive Director of the Convention and Visitors Bureau. The education center overlooks the Cattail Marsh Boardwalk and offers spectacular views of birds and wildlife from its elevated wrap-around porch and classroom. Inside the upstairs classroom features include versatile roll up doors, air conditioning a restroom and a handicapped accessible lift. The education center is the newest development at Cattail Marsh since the opening of the boardwalk. 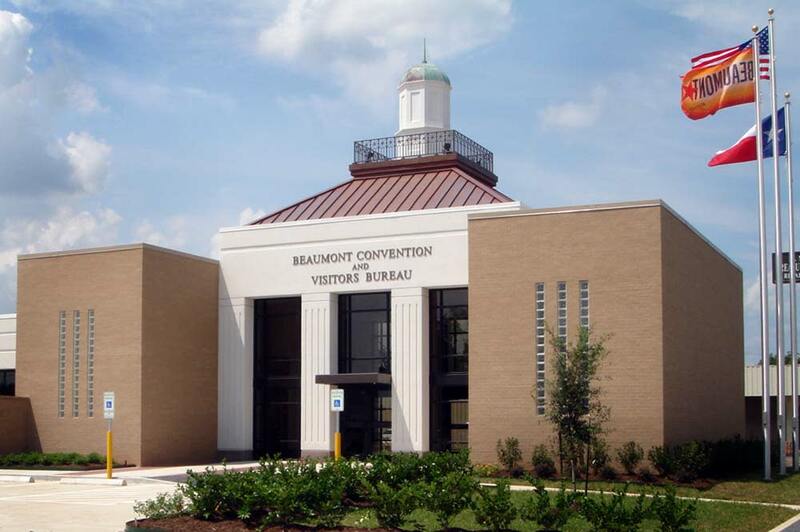 Growing the area’s nature tourism offerings and attracting more visitor spending from bird watchers has been a top focus of the Beaumont Convention and Visitors Bureau for several years. The Magnolia Garden Club’s latest addition to the popular birding hotspot will help the initiative even more. CVB marketing and communication efforts have focused steadily over the past years on drawing influential birders, hosting nature photographers and journalists to help promote Beaumont’s nature tourism assets. Exhibiting at select birding shows and events, developing marketing materials and media placement is getting the attention of this affluent niche market of travelers as well as support from the birding community. Nature Tourism on the Texas Gulf Coast generates 19 billion in annual spending of which $6.5 billion is from wildlife watching alone. The Lower Texas Coast released an economic impact study showing the impact of nature tourism in the Rio Grande Valley. In 2011, the Rio Grande Valley saw $463 million from nature tourism, 62% from birders. These tourists generated extra local sales tax revenue totaling $2,560,300 and $7,512,900 in hotel tax collections, according to the Wildlife Tourism and the Gulf Coast Economy. With the addition of Cattail Marsh’s Wetlands Education Center and boardwalk the Beaumont Convention and Visitors Bureau hopes to capture a larger piece of the market, resulting in an increase in travel spending for Upper Texas Coast birding. “America has over 45 million birdwatchers and Cattail Marsh Wetlands is a tremendous nature tourism asset that can bring those birders to our area. The boardwalk’s draw has been incredible, and now with the addition of the education center, that market will continue to grow.” says Stephanie Molina, CVB Director of Marketing. The Cattail Marsh Wetlands provide habitat for a stunning diversity of birds, reptiles, mammals, amphibians and plants. More than 370 of the 642 bird species in Texas can be found within a 45-mile radius of Beaumont with Cattail Marsh accounting for around 250 bird species alone. 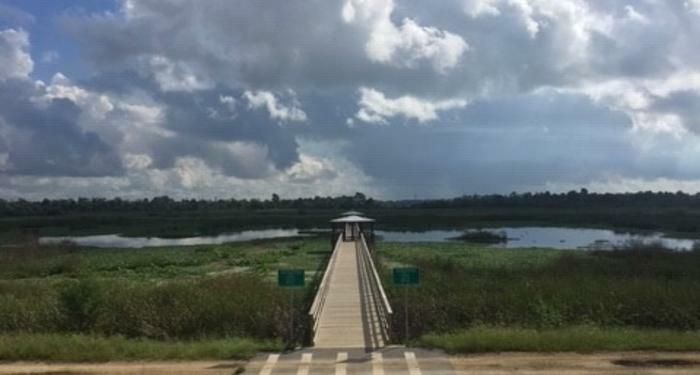 The Cattail Marsh Wetlands Education Center would not have been possible without the funding from the Magnolia Garden Club and support from The Golden Triangle Audubon Society and City of Beaumont. The CVB has worked with multiple city departments involved with the project including Water Reclamation, Planning, Technology Services and Parks and Recreation. Check out the website for more on Cattail Marsh wetlands and area birding spots.